This course will prepare students for a career as a certified clinical chiropractic assistant. Topics covered include chiropractic principles, human anatomy, history taking, patient charting and record keeping, medical terminology, management of patient conditions, physiotherapy (Ultrasound, HV and LV EMS, IFC, Traction, Decompression, Massage, Superficial Heat, Cryotherapy, Light Therapy, Therapeutic Exercise), clinic maintenance, emergency procedures CPR, professional standards, ethics, conduct, boundary training, insurance. Students must be 18 years of age or older and have their high school diploma or GED prior to starting this course. This course requires no preparation, prerequisites or prior training. Students will be encouraged to practice the techniques or procedures learned under the supervision of a Doctor. Students should not practice any technique or procedure learned in this course without direct supervision of a DC. The (Federation of Chiropractic Licensing Board) recommends that Chiropractic Assistants wanting the distinction of Certified Clinical Chiropractic Assistant (CCCA) must successfully pass the CCCA Licensing Exam and perform 300 hours of supervised clinical experience within a year of passing the exam. Most states require that the CA be under direct supervision at all times regardless of their title. The goal of this course is to prepare students with the job skills necessary to be a Certified Clinical Chiropractic Assistant (CCCA). Upon completion of this course students will be able to safely and effectively assist their doctor with patient healthcare needs (e.g. history taking, record keeping, daily treatment notes, and physiotherapy modalities and active rehab therapies). They will be able to effectively communicate, orally and in writing, with patients, health care professionals and insurance companies utilizing acquired knowledge of common chiropractic conditions, medical terminology, anatomy, ICD-9 and CPT coding, chiropractic principles and philosophy. They will understand patient privacy and the laws, rules and regulations to conduct themselves ethically, professionally and legally. Students will be able to identify emergency situation and take appropriate action. Identify ethical issues dealing with professional rights, responsibilities, duties and standards of conduct by exploring legal statutes from various states with regards to Chiropractors and CCTAs. Define Doctor conduct, Professional CCTA Conduct, Patient Conduct and Unprofessional Conduct. Recognize unprofessional conduct, improper billing, harassment, violence, drug or alcohol use and potential conflicts of interest. Discuss Chiropractic’s History and a D.C.’s Education. Explain the Components of the Vertebral Subluxation Complex. Discuss Spinal Pain Syndromes, Myotomes, Dermatomes and Psychosomatic Disorders. Develop Communication Skills utilizing techniques that address healthcare Boundaries, Active Listening, Body Language and Matching and Mirroring. Understand the importance of a patient’s informed consent, and the need for acquiring a signed patient’s informed consent prior to treatment. Identify the key components of a Patient History and perform a patient history. Discuss and describe Various Radiographic Studies and /Diagnostic Procedures to a patient. Perform and document measurements for both Passive and Active Cervical and Lumbar R.O.M with use of a goniometer. Recognize equipment used to perform examinations. Perform Vitals (height, weight, temperature blood pressure, pulse and respiration) using professional boundaries, patient privacy, safe and hygienic procedures. Identify normal findings as well as variant and abnormal vital sign finding. Recognize patient apprehension. Identify the flags of care and recognize conditions that are contraindicated or require special precautions for chiropractic treatment and the importance of notifying the doctor 23. Recognize conditions that are contraindicated or require special precaution for chiropractic treatment. Utilize medical terminology, prefixes, and suffixes. Understand the Purpose of Notes. Identify the components of a note ( S.O.A.P.) for charting. Properly document in a patients chart using techniques for Medical Documentation and common abbreviations. Set up a Medical File. Understand the legal responsibilities of maintaining patient records including storage, security, and release of records; and develop protocols for requesting or releasing records. Answer the phone and schedule a New Patient and an existing patient. Understand and utilize billing terminology and coding when communication with patients, healthcare professionals and insurance companies. Complete a HCFA1500 billing form. Write an appeal letter to an insurance company. Recognize life-threatening or emergency situations and the CCTA’s responsibilities. 38. Develop skills necessary to provide emergency care procedures in providing First Aid and CPR. Discuss the importance of calm communication with the patient, and collaborating with other staff members and other health care professionals. Learn how to document procedures and understand the legal implications associated with providing emergency care. Use safety standards to protect themselves and patients with regards to maintenance of clinic and equipment, patient modesty, gowning and draping. Position patients on the table supine, prone and on their side. Identify physiotherapy tools, instrumentation and various modalities. Assist with patient education and home health care devices, application and monitoring of home care or referral compliance. Therapeutic Exercises including stretches and strengthening exercises for the cervical, thoracic and lumbar regions of the spine. Rehabilitation techniques. Understand The Concepts Of Postural Conditions. Explore phasic and postural muscles. Learn how to perform and instruct patients on ball exercises that address specific postural conditions. Neuromuscular reeducation-Learn how to Perform Post Isometric Relaxation Stretching and instruct patients on Balance Board Exercises. 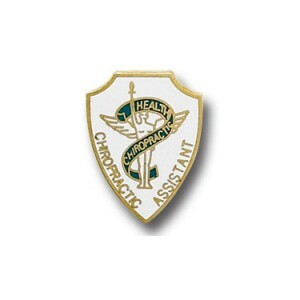 California Chiropractic Assistant Continuing Education requirements posted on this page are based upon the most up to date information available. California Chiropractic Assistant continuing education requirements are subject to change and therefore, California Chiropractic Assistant licensee’s are ultimately responsible for being up to date with the California Chiropractic Assistant continuing education requirements. Continuing education courses provide Online CEU for California Chiropractic Assistants. The online courses enhance the knowledge base of the Chiropractic Assistant.